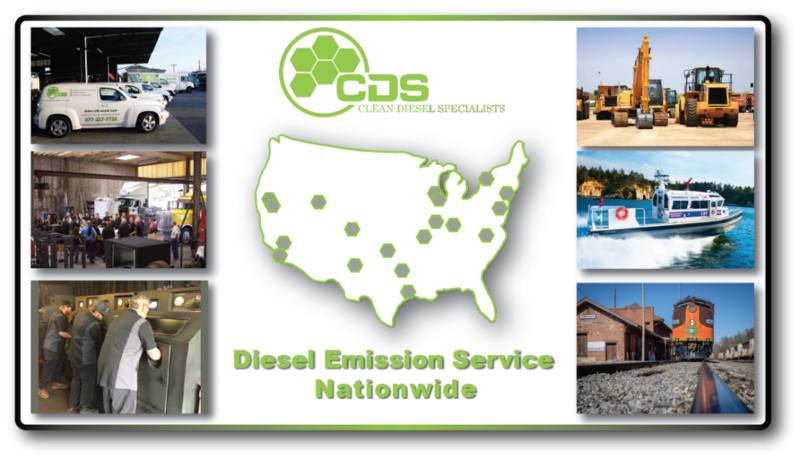 Clean Diesel Specialists first opened its doors for business in 2008. For years we have watched diesel-powered vehicles spew contaminated exhaust into the air. Environmental agencies have finally established guidelines that require diesel-powered vehicles to eliminate Particulate Matter and NOX. Our job as Clean Diesel Specialists is to use innovative new technologies, partners, and products to reduce diesel fuel’s Carbon Footprint on our environment and service these units that trap it. Breathe easy with Clean Diesel Specialists. CDS offers individuals and fleets a one-stop integrated parts distributor, data-logging, installation, retrofitting, cleaning and compliance center. CDS is the largest distributor of DPF gaskets, clamps and accessories in the United States and Canada. We carry a wide variety of aftermarket brands including products from ECS, HUSS, HUG, ESW, Johnson Matthey.